Register with MMI by entering your email address below. Already an MMI member? Log in here. New to MMI? Enter your email address below. Please provide your email address here and proceed to provide any information that helps us get to know you. We will remember the information you provide so that you do not have to enter it again when you sign up for an event or NetMeeting. 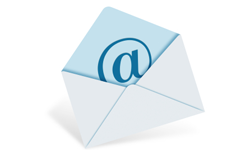 By providing your email address, you agree to receive emails from Money Management Institute.